Following Denmark’s return to the Final of the Eurovision this year, viewing figures increased by over 400,000 compared to 2016. In Denmark an average of 1.213 million viewers watched the Grand Final of Eurovision 2017, an increase of 441,000 viewers over the final in 2016 when Denmark failed to qualify. The final was the most watched television event of last week beating private channel TV2 by just under 600,000 viewers. 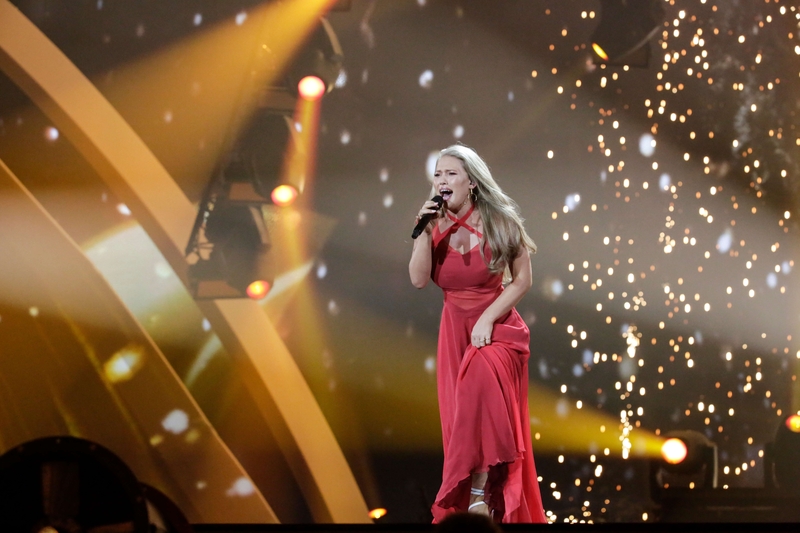 Anja Nissen brought Denmark back to their first Eurovision Song Contest final since hosting the contest in 2014. “Where I Am” narrowly qualified for the final beating Serbia by just three points in the second semi-final. In the final Denmark finished 20th with a total of 77 points, of which just 8 points came from the televote. Denmark debuted in the Eurovision Song Contest in 1957 alongside Austria and the United Kingdom. To date Denmark has won the contest on three occasions, the first being in 1963 when Grethe & Jorgen Ingmann performed “Dansevise”. Denmark won the contest again in 2000 represented by the Olsen Brothers, their most recent victory came in 2013 when Emmelie de Forest performed “Only Teardrops”. Denmark has failed to qualify for the final of the Eurovision Song Contest for the past two years.